Enjoy Free Minutes, SMS and MBs with Zong 4G Digit 1!!! Zong Pakistan always introduces the excellent services for its customers. Its services are very good with low rates. This time Zong introduced Zong 4G Digit 1 mobile phone for its customers. The new Zong 4G Digit 1 is Pakistan’s smartphone which packs lot of excellent features in it. It is available in reasonable price rates as only Rs.5200/- PKR. You can enjoy free Zong minutes, SMS and MBs after buying this mobile phone. It also offering one year warranty from the sale date. Free hybrid offer for 3 months is available in Zong 4G Digit 1. So don’t forget to buy this Zong 4G Digit 1, purchase it now and enjoy more SMS, MBs and Minutes from Zong Network. 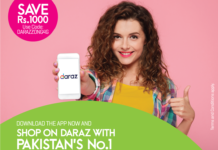 Get 4500 Zong minutes, 4500 Zong SMS, 450 free minutes on other networks and 6000MBs of internet. The complete details of Zong 4G Digit 1 handset and hybrid offer are here. Read all these details first then you must buy it. Zong introduced a new mobile phone with the name of Zong 4G Digit 1. It includes a mega pack of excellent features on very low rates. The price of Zong 4G Digit 1 is only Rs.5200/-. It’s really a very low price as it is full of the basic and needed specifications. There is one year warranty on buying Zong 4G Digit 1. It is offering the one year warranty starting from the sale date.